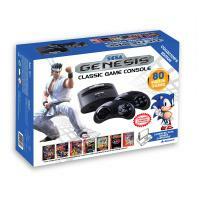 AtGames has authorized the exclusive release of the game lists for the 2014 editions of the Sega Genesis Classic Game Console (which accepts cartridges) and Sega Genesis Ultimate Portable Game Player (which accepts an SD card), each of which hits major US retailers like Toys''R''Us in October. Is the retrogaming community too entitled? 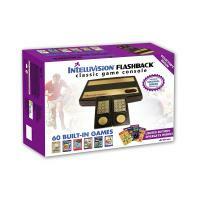 Intellivision FlashbackAfter spending quite a bit of time recently on various discussion forums on AtariAge and Facebook, it has really struck me more than usual how incredibly demanding our retrogaming community (and gaming community at large) is, and how entitled, as the title of this blog post states, some people come off as. This is of course nothing new, going back to the days in the late 1990s when MAME developers would get criticized or even threatened when someone's favorite game wasn't properly emulated, as if the monumental task of emulating what is now thousands of arcade machines, for free, wasn't stressful enough, or otherwise rewarding for the end user. It was the one game that was the deal breaker among the countless other games and the incredible accomplishment in and of itself. Sega Enterprises released the game Zaxxon on various platforms, they also happened to release it on the old IBM-PC in 1984. I think it was best played with a joystick but as I don't happen to have one I am playing it with the keyboard. That is trying to play it with a keyboard. The ship needs repeated key-presses to move as there is quite bit of lag for it to move on its own. Everything seems to be there, a nice isometric game that seems to be tougher than the arcade port even. 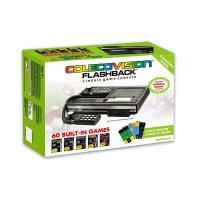 A definite must have in a retro arcade PC gaming collection I say. Check out how I did (poorly) in the video. Here I check out the PC version running on Steam (not H2O vaporized but the PC gaming platform by Valve) for the first-ish time. Actually the first video I shot of my 1st race went t*ts up so I had to reshoot it so this video basically is my 2nd look at the game. I took a look at the sequel a little while ago. I know it is out of order but what can you do, that's just how I do things. So this game is a very cool racing game, 1st in a series at that, from the Sega stable. It was brought out on the Wii, Xbox 360, PlayStation 3, Nintendo DS, Microsoft Windows , iOS and Mac OS X. Gameplay is very similar to games like Mario Kart, Konami Krazy Racers and Crash Team Racing. Everything is there Sonic and his pals, the blue Sega skies, the over-saturated colours, fast paced action. Love it!